D-Pad Hero is a series of homebrew rhythm/music games. The series pays homage to the developer's favorite NES games and popular music artists. It's their vision of what music games might have been like in the NES heyday, and now you can experience it too, for free. 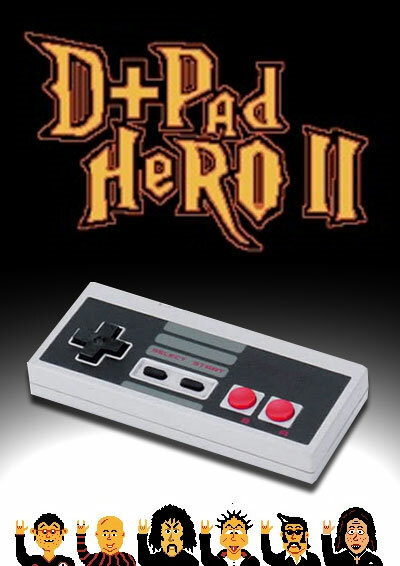 D-Pad Hero 2 has only been officially released in a free ROM format download. If you enjoy the game, however, you are welcome to donate. It is recommended you play this game on a computer emulator with the help of a USB NES Retroport from Retrozone for the genuine NES contoller experience. More information about how to get this game running on your computer using an emulator can be found here. Alternatively, we always encourage everyone to play on a real NES console whenever possible. This can be accomplished with aid of a PowerPak or by ordering a custom reproduction for personal use.